The banking crisis of 2007/8 was arguably the biggest and most disruptive economic event in post-war Britain. 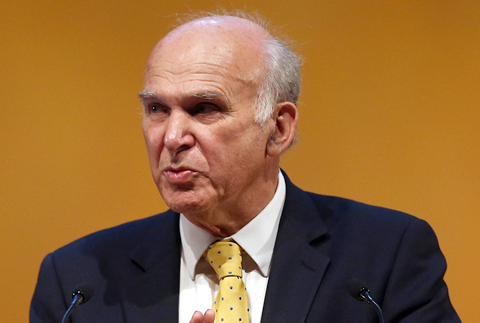 Vince Cable was heavily involved as a Minister and earlier in the debate around the future of UK banking, notably in The Storm and After the Storm (also various speeches as Secretary of State). It is 15 months since I worked with Which? on its Banking Commission, before joining the Coalition government. A group with disparate views including three politicians - David Davis, John McFall and myself - came together to recommend unanimously a series of strong conclusions. Its central point was that “banking is a structurally flawed industry that has failed its customers, its investors and the taxpayers who stand behind it.” A year and a bit later, that verdict retains its force. There have, however, been several major developments, and the government has taken some important steps to reform banking. First, the UK banks have stabilised and acquired a stronger capital base. Nonetheless the central problem addressed by the Commission remains: UK headquartered banks have combined balance sheets of £7 trillion, over four times GDP, well in excess of other major economies and exceeded only by unstable countries like Iceland. impending risk - even if that risk now looks a little less than a week ago. And their exposure is amplified by large volumes of derivatives, including credit default swaps structured around Eurozone sovereign risk. Second, rapid deleveraging has occurred. One major and damaging casualty has been tightening availability of conditions of credit for SMEs which are needed to power economic recovery. The latest Bank of England figures suggest this problem has been getting worse since the recovery started. Within the last few weeks, the SME Finance Monitor, an independent piece of research conducted by BRDC Continental and funded by the banks themselves, into business finance, has shown that only 15% of businesses have sought external finance in the last 12 months. This is a lack of confidence: in the economy, but perhaps also in the availability of credit. There is also the worrying issue of discouraged demand. Of those who did not seek finance, 15% wanted to apply but did not because they though they would be turned down or were put off by their bank. This is equivalent to 6% of all SMEs reporting that they felt discouraged from applying for external finance, clear evidence that we are dealing with deeper problems. businesses, but the first quarter results showed weak trends and we wait to see whether lending has recovered for the second quarter. We will be monitoring this closely. tightened controls over cash bonuses; curbed bank tax avoidance. In spite of all this the biggest issue is still outstanding; the Chancellor and I established the Independent Commission on Banking to look at how we can reform the structure of banks to create both greater stability and more competition and the final report and recommendations are expected in September. The Which? Banking Commission, of which I was part, argued strongly for the compulsory separation of what can be called traditional banking - deposits, personal and business lending - from so-called ‘casino’ banking associated with wholesale and investment banks. I have supported this view for some time in good company with the Governor of the Bank of England as well as my fellow Which? Commissioners. The ICB under Sir John Vickers was asked to look at this issue in detail. The Interim Report sets out carefully the argument for separation. Traditional banking underpins a modern economy and has to be protected by the state from the risk of systemic collapse; that is not true of most wholesale and investment banking activities. Moreover, the implicit subsidy enjoyed by the banking sector effectively involves the UK taxpayer underwriting the high risk - and high profit - ‘casino’ activities. When bankers have massive global exposure as they do in the UK, the public sector is taking on massive liabilities. Since banks know that they are ‘too big to fail’ they have a big incentive to take excessive risk; and in the financial crisis some of those risks became a costly burden for the taxpayer. We in government do not believe this is sustainable. The risks that the banks take on potentially exceed the UK’s GDP, and therefore inevitably affect the potential solvency of the UK state. After all, it was when the Irish government guaranteed its banking system that its sovereign debt levels exploded. The ICB recognised a trade off between the benefits of making banks safer through separation and the costs to the banks (some of which might be passed to bank customers). It recommended separation through ring fencing with retail banks having higher capital levels than now and wholesale/investment banks being sufficiently separate to allow them to fail in a crisis. It is, of course, incorrect to blame the costs of the banking collapse exclusively on the global, universal banks since the most dramatic failures were of domestic mortgage lending - Northern Rock; HBOS, Bradford & Bingley, Dunfermline. And the events that ultimately triggered the global recession were the collapse of Lehmans, a pure investment bank, and AIG, an insurance company that had partially turned itself into a hedge fund. But one UK based universal bank collapsed - RBS - with a balance sheet bigger than the UK economy; and Barclays came within a whisker of doing so. And this happened because of their international investment banking exposures. Had they failed, the UK economy could have been devastated. 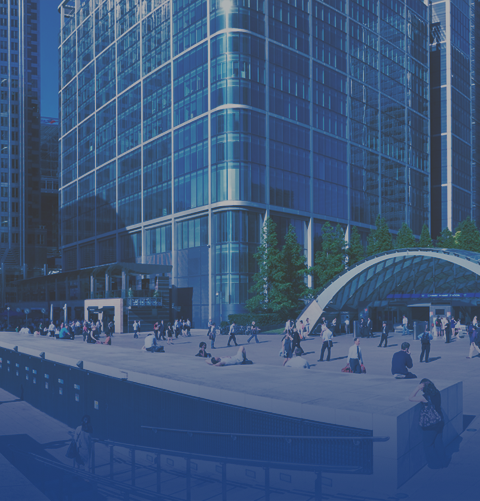 We have further concerns about the UK’s universal banks: the disengagement of senior management from close involvement in UK business lending resulting in a serious weakening of relationship banking for SMEs. The recent weakness in SME lending has crystallised that concern, especially as UK-based banks (Lloyds, Clydesdale, Aldermore) or specialised overseas banks (the Swedish Handelsbanken) have shown greater commitment. And there is a link to the contentious issue of bonuses. Recent figures released by the ONS have highlighted that there is still much public anger over the ‘bonus culture’ in the trading arms of the universal banks. Recent reforms have reduced the incentive for bankers to gamble and take excessive risk by reducing the cash component - as against payment in shares with restrictions on disposal. But in order to draw the political poison created by large bonuses we need to create a structure under which bonuses are no longer underpinned (or paid directly) by the taxpayer. Bonuses can then be taxed like other high income and capital gains. The ‘ring-fencing’ approach has been criticised for being insufficiently clear cut and too open to regulatory arbitrage by those arguing for full separation; and by the banks themselves for going too far - though the ICB discounts the threat of banks to relocate headquarters elsewhere. They have also made clear that the huge advantage the UK currently haves as a hub for the activities of global financial services is in no way threatened by further separation of investment and retail banking activities. It is important to remember that this was an interim report. The Chancellor in his Mansion House speech endorsed the ring-fencing principle. As you will know, my own instincts lie with full separation. The Treasury Select Committee has expressed some surprise that the ICB did not explain why it was not pursuing this approach. I have confidence in an independent commission of exceptional quality but it now has to provide convincing answers to some critical questions. The Government will be still seeking reassurance from the final report to demonstrate that a ring-fence can be as effective as full separation at lower cost. Would it stop banks using deposits underwritten by the taxpayer to cross subsidise their ‘casinos’? Will the ring-fence be high enough and the ‘Chinese walls’ strong enough to eliminate regulatory arbitrage by the banks? Will the division between what is inside and outside the ringfence ensure that nothing resembling a universal bank remains? We, as a Government, shall await the report in September before coming to a firm conclusion. But once we have agreed a way forward it will be essential to put the new arrangements in place as quickly as possible; we cannot wait for another banking crisis to cause even more damage. It is important to remember that for most customers of banks, the question of a retail ringfence may appear of distant relevance. That is how it should be: we don’t want the ordinary consumers and SMEs that rely on retail banking to worry about what exotic high risk activities it may be carrying out. Instead, what they care about is greater competition to ensure better customer service for private individuals and companies - a major theme of the ICB’s interim report. In particular it suggests Lloyds should divest a larger number of branches - and with more sustainable funding - than required by the European Commission in order to create a substantial challenger bank. Alongside the return of Northern Rock and other new entrants, this ought to move us closer to the diverse range of banks that we need. Banks are, however, inherently monopolistic: the banks jointly administer a monopoly network- the payment system. And while more competition may be desirable it is bound to be of limited effect without a substantial number of new banks, as opposed to different brands, each with their own branch network. It is also notoriously difficult to change accounts; so much so that people change their banks less frequently than their spouses, and the loyalty is not because of love. The ICB has helpful practical solutions on how to increase account shifting. Until a genuinely competitive market does emerge there will need to be effective consumer protection to deal with penalty charging and other abuses. Pressure for more competition needs to be increased if we are to get banks to respond positively. The new Financial Conduct Authority must therefore have an explicit mandate to protect the interests of consumers and businesses: and it should do this through promoting competition, in parallel with the competition powers of the OFT. Competition is the best antidote to the ‘rip-off’ culture ingrained in the banks, extracting excess profit from personal and business customers. Diversity is another key antidote. The gradual decline in relationship banking needs to be reversed. Part of the answer may lie in the new challenger banks - like Handelsbanken - but another key element may be more community lending, through Community Development Finance Institutions (CDFIs) and credit unions. The government is encouraging them, through a new £60m fund to help finance CDFIs, a tax relief on this form of lending, and encouraging big banks to partner with them, such as with the Greater Manchester SME Loan Fund*. Additionally, the Regional Growth Fund will support a Business Angel co-investment fund to support early-stage equity investment and increase the scale of investment from business angels. centres but uniquely exposed in terms of the share of bank assets in the economy and the dependence on government revenue from the banking sector. We must not allow the protests of the bank to distract from the interest of the British taxpayer and economy nor assume that the UK can evolve a banking regime built around its current somewhat anomalous position as a large offshore banking centre with a medium sized country attached. The banking crisis is only a few years old and yet the risks are increasing of a new round of convulsions in the banking sector, potentially in the wake of a major Eurozone crisis including the spread of contagion to Ireland and the big Southern European countries. Should this result in large losses for the banks, including UK banks, we could be back in 2008 territory. We can, at this stage, merely speculate as to where it might lead but the experience of Lehman brothers is not encouraging. The Which? Commission made a valuable contribution to the set this debate. The ICB will provide the Government with the opportunity to respond to the challenge of creating a sustainable and stable banking sector for a prosperous economy. *Greater Manchester LEP partners are addressing financial market failure in Small to Medium Enterprise lending through a groundbreaking partnership between a, BIS (DTI)-established, CDFI, Business Finance Solutions (BFS), the RBS Group plc and five other banks to gain access to a rich source of “currently unbankable” but viable businesses seeking finance. Read full list of announcements NB. These were made during Vince's time as an MP.